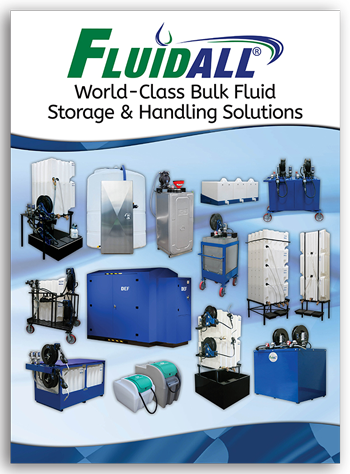 Thank you once again for your interest in Fluidall’s World Class Fluid Storage Solutions! Our Passion is to Develop Strong and Reliable Solutions that Will Solve Your Challenges in Fluid Storage and Handling. Brand Name Recognition – Fluidall’s Tote-A-Lube storage tanks are seen on in service centers, quick lube shops, fleet operation, dealers and distributors all over North America. Coupled with our national advertising campaigns, no storage tank brand is more widely recognized or more widely trusted. Diverse Product Line – From our trusted Tote-A-Lube tanks to bulk DEF dispensing solutions to value-built double wall tank solutions, Fluidall offers a diverse selection of storage solutions for consumers. Large On-Hand Inventory – Fluidall has more storage tanks and system accessories at our headquarters available to our distributors than any other tank manufacturer in North America. Stability – Fluidall is a successful industry leader and has the assets and leadership to continue to provide the best product line. Confidence – Our distributors can be confident when selling a Fluidall tank because of our excellent limited lifetime tank warranty. Support – Our distributor support services are unmatched in the industry. Personal relationships are made with each distributor to assure personalized customer service. Fast Shipping – Armed with our industry leading dispatch team, Fluidall can ship individual tanks and complete fluid storage solutions quickly and safely. Don’t Just Take Our Word For It. Read Reviews from Genuine Customers That Use Our Fluid Storage and Handling Solutions. "Please accept this letter as my personal and professional opinion of Fluidall as an outstanding business partner to Monro Muffler & Brake and Service. Since my earliest involvement with Fluidall, I have found their company to be world class in many ways. Their representation, execution and delivery of the [Stackable Tote-A-Lube Tanks] Fluidall products to our service centers has always been fair, courteous and above all, professional in every respect. Fluidall’s partnership with Monro Muffler & Brake and Service is exemplary of the model to which we would like all of vendors to aspire." 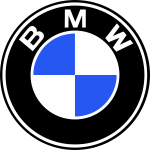 "The diesel exhaust fluid dispense is working perfectly. It allows my technicians to be more efficient. There is not spillage or clean up needed after using the dispenser. I fully endorse your product."